EDIT- I have a Hotter discount code for you! Please see details at the end of this post. Oh, where to begin with these absolute beauties? Well, in the interest of full disclosure, the best place to start is probably by telling you that I was offered the opportunity by the lovely team at Hotter to choose a pair of shoes from the Autumn/Winter 2015 collection (AW 15) to review on my blog. I am so grateful (and excited!) for this, but I would also like to stress that my opinions here are completely honest and absolutely my own. Now, back to these beauties. 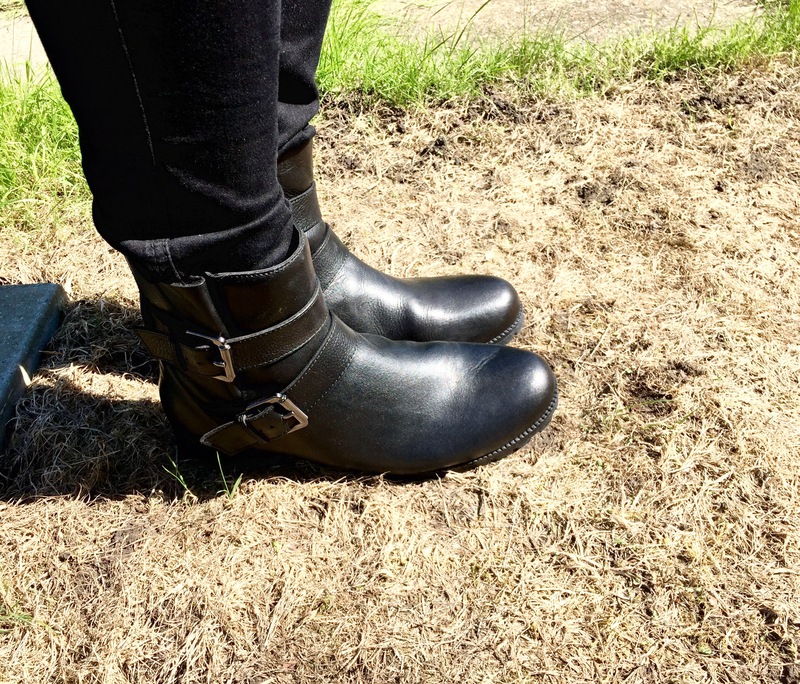 I’ve been looking for a pair of ankle biker boots for quite a while, but never found a pair which really ticked all the colour, style, length and quality (not to mention comfort) boxes I had in mind. That is, until I saw these. 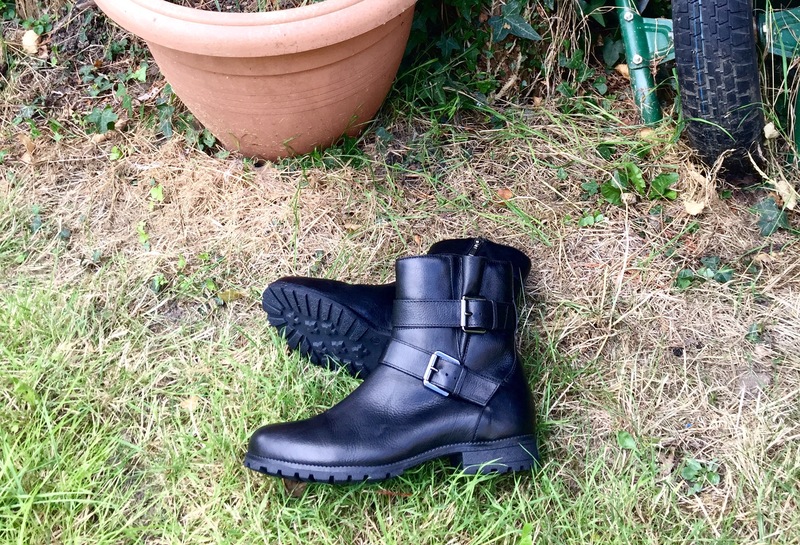 The Ivy ankle biker boots are just gorgeous to look at and wear. At £89, they are available in black or tan and have a heel height of 1.5 inches, in addition to an inner zip closure and adjustable buckles. Although running true to size, I also loved that they’re nice and roomy in the toe area, which I reckon would allow for thick socks as both the temperature and the leaves start to fall. The attention to detail isn’t just superficial, however. The lining of the boots looks and feels perfect for the season and lends a homely, rustic edge to these polished, city-style shoes, meaning they could fit in just about anywhere. This is just as well given that, as of very recently, I will be moving to Berlin in October for work (eek! ), and I can absolutely imagine myself walking through the German capital’s streets in these; they’re perfect for off-duty style. Speaking of fitting in just about anywhere, ankle boots are so popular at the moment that comfort is often neglected in favour of churning out styles as quickly as possible. I’ve experienced this before with a pair of suede Chelsea boots from a different make which I love, but which have no support whatsoever. However, as is Hotter’s trademark, the Ivy boots come with comfort built into them, and this is clear from the moment you slip your feet in. Much to my delight and that of my Morton’s Neuroma, it was brilliant to wear these while out and about and not feel any pain, discomfort or irritation. What’s more, although boots with a biker twist are often characteristically slightly oversized in their design, Hotter have included cushioned panels and other comfort features without making them overly bulky. Another success on the comfort front, Hotter. My feet can’t thank you enough! I love the contrast between the smooth black leather and the tough metal buckles and sturdy heel and sole, which makes Ivy really versatile when it comes to styling them. They look fantastic with tights as well as jeans or jeggings, and I loved adding this floppy black hat from Monki, below, to create this shot. Everything looks better in black and white, after all! The first time I wore these out it was a typical summer’s day in England, ie. rainy, and it was great to find out that these were not only beautiful, but also watertight. Style and substance, what more could you ask for in a pair of shoes? 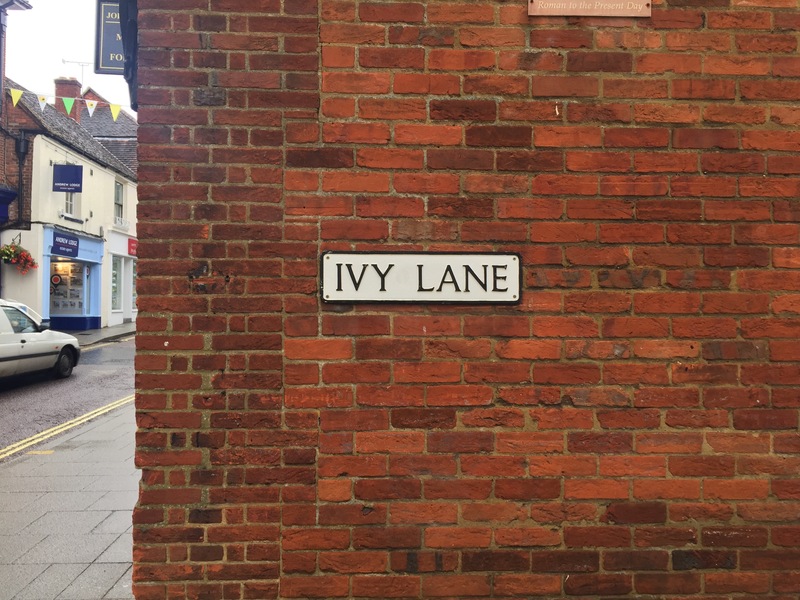 As I walked through Farnham in my boots, knitted dress (knitted dresses look fantastic with these) and tights, one little road caught my eye, namely Ivy Lane. If that isn’t a sign that these boots were destined to come into my life, I don’t know what is. The rest of the AW 15 collection is also gorgeous, with particular highlights for me being the Briony riding boots, the Norton kiltie (speaking of kilties, the Shipley style is also beautiful! ), and the Abbeyville moccasins, which I have actually already ordered in the shiny black style to add to my working wardrobe. One friend suggested I might have a Hotter addiction. No idea what she’s on about. PS- in case you didn’t know, Hotter also have lovely bags on offer…there are worse addictions than that, too. Check out Chelsea and Canada. You can thank me later. Valid until 24th December 2015. *In the interest of full disclosure: we were given the opportunity to choose a pair of shoes each for the purpose of an honest review. There has been no payment for this post, and all thoughts are honest and our own. I want a pair of black Ivy Biker boots size seven and a half but I can’t find any. Can you help please?